Good news for gamers! Movie based games are on the decline. According to publishers, you'll be seeing fewer videogames based on movies this year, as the large investments of time and money required to make a decent game is putting studios off. Not only that, but the poor sales of Ubisoft's Avatar game is showing that the practice of releasing something of a lower quality is starting to be unprofitable. "The movie-based games business the way we have known it is broken," said Warner Bros. Interactive Entertainment president Martin Tremblay. "Quality is king now and quality is expensive, so it makes more sense than ever to own your intellectual property instead of paying for a license." That's not to say that you won't see game based on licensed properties, but it would seem that the days of tie-in games are numbered, as the number of titles drops year after year. 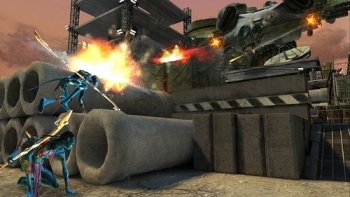 The LA Times reports that 15 tie-in games were released in 2009, versus the eleven scheduled for 2011. "When you're asking consumers to shell out $60 for a game in a tough economy, they are going to be discerning with their dollars," said Take-Two Chief Executive Ben Feder. "That's why the strategy we're pursuing now is to publish a select number of quality games and create our own marketing events."